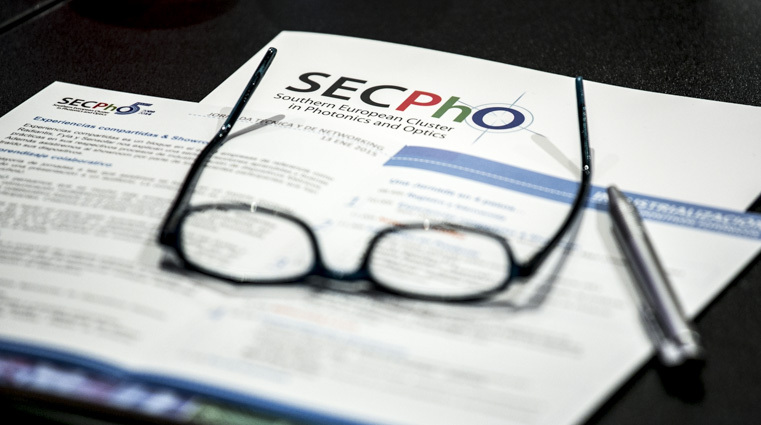 Stimulo participated in a workshop with more than 30 participants from the Southern European Cluster in Photonics and Optics (SECPhO). The main purpose of the workshop was discussing and sharing experiences about the development and industrialization of photonic and optical devices. The session was divided into three different blocks: innovation, legislation and international marketing. The workshop was very dynamic and participants exposed their experiences about their products and companies. Speakers emphasized in the process from ideating a product to launching it to the market. During the first block, Xavier Majoral from Stimulo made a presentation on the importance of design in the development of medical devices. Among other facts, Xavier stressed on the importance of how product design can improve the user experience of both patients and doctors or nurses. On the other hand, he highlighted that “the use of new technologies like 3D printing and rapid prototyping can reduce initial investments and failure rates when launching a new product”. Download Xavier’s presentation here. Stimulo explained as well the successful product developed with Promeba. Thanks to design and engineering, stimulo and Promeba launched an emergency evacuation chair which given its optimized cost was finally produced in Catalonia. If you want to see the case study, click here.